Purify your water as you fill your spa with the MicroFiber Pre-filter. This disposable filter reduces the total dissolved solids (TDS) from your water and increases the quality of your spa water. Our Pre-filter is 90% efficient and removes the following contaminants: dirt, sediment, rust and calcium. Attach the pre-filter to the end of any garden hose and begin the fill...easy & simple! 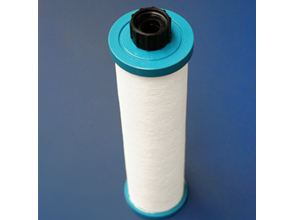 The MicroFiber Pre-filter extends filter life and reduces hard mineral deposits. One Pre-filter is good for 1200 gallons or 2-3 refills.